PRESIDENT Emmerson Mnangagwa has ruled out a second unity government with the opposition and scornfully told “daydreaming” rival Nelson Chamisa to wake up from his “nightmare”. Let us focus our energies towards growing the economy. Those who engage in dreams must wake up as soon as possible because it is a nightmare,” the Zanu PF leader told the ruling party’s central committee in Harare Wednesday. The remarks suggest a widening of the gulf between the rivals after seemingly accommodating Mnangagwa indicated he was open to creating for Chamisa an official Leader of the Opposition post. Chamisa, leader of the MDC party, has adamantly refused to recognise Mnangagwa’s victory in the disputed July 30 elections, insisting the ballot was rigged. 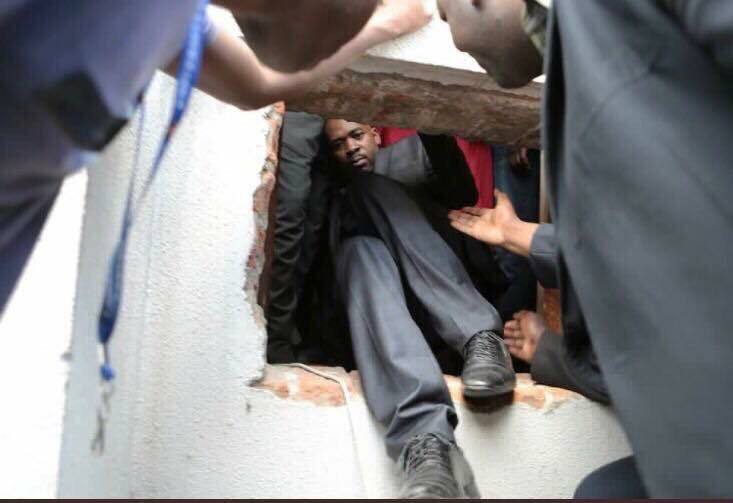 After the vote, Chamisa demanded that Mnangagwa acknowledges the electoral fraud and step down. However, the opposition leader has lately refined his position and started pushing the idea of a national transitional authority (NTA). Chamisa contends that Mnangagwa’s “illegitimacy” is worsening the country’s economic crisis which is now manifesting in public sector strikes, spiralling prices of basic commodities and acute shortages of fuel critical medicines in hospitals. The opposition leader has vowed to sustain pressure against the government with a series of mass protests as well as international diplomacy. Still, an upbeat Mnangagwa told party supporters in Harare Wednesday that the MDC leader is best advised to stop “daydreaming”. The gathering is part of events leading up to Zanu PF’s annual people’s conference which is set for Umzingwane High School in Esigodhini, beginning this Thursday. Mnangagwa was emphatic that there would be no repeat of the power sharing arrangement forced by regional SADC leaders on Zanu PF after the bloody and disputed 2008 elections. When you hear them saying we want a GNU (Government of National Unity), you should ignore them; they are daydreaming,” he said. There is no need for a coalition government because the ruling party secured a two thirds parliamentary majority and the opposition failed with a Constitutional Court (Con-Court) Challenge against the election results. “Zanu PF has more than two thirds majority in Parliament, then someone comes in to say they want a GNU! Do not listen to them,” said Mnangagwa. “They challenged the election results at the Constitutional Court (Con-Court) and lost,” he added. “They did not ask for the opening of the ballot boxes because they knew they would lose again. The ruling party would now focus its efforts on addressing the country’s socio-economic challenges. “We should now concentrate on fulfilling the mandate we were given by the electorate in the next five years. We should build the economy and put politics aside,” Mnangagwa continued. We are now seized as Zanu PF with growing of the economy; with finding solutions to resolve all the economic challenges the country is facing as a result of sanctions which we are facing as a country. “We will focus on what we should do to have clean water, medicines in hospitals, have good roads; that is what we now want to do and that is why we now talk of the economy.